I finally made a boomerang!!!!! over the past few weeks I did tiny things that helped me make a boomerang. I cut some laps in some hardwood pieces one day. Another day I epoxied them together and another I traced the shapes onto the glued up blanks. Sunday I cut the shapes out and while it was still warm enough out in the shop(40F?) I decided to shape the airfoils. I chose a cherry arch shape I make as the one to shape. I had 2 cherry arches and two Skippys cut out. 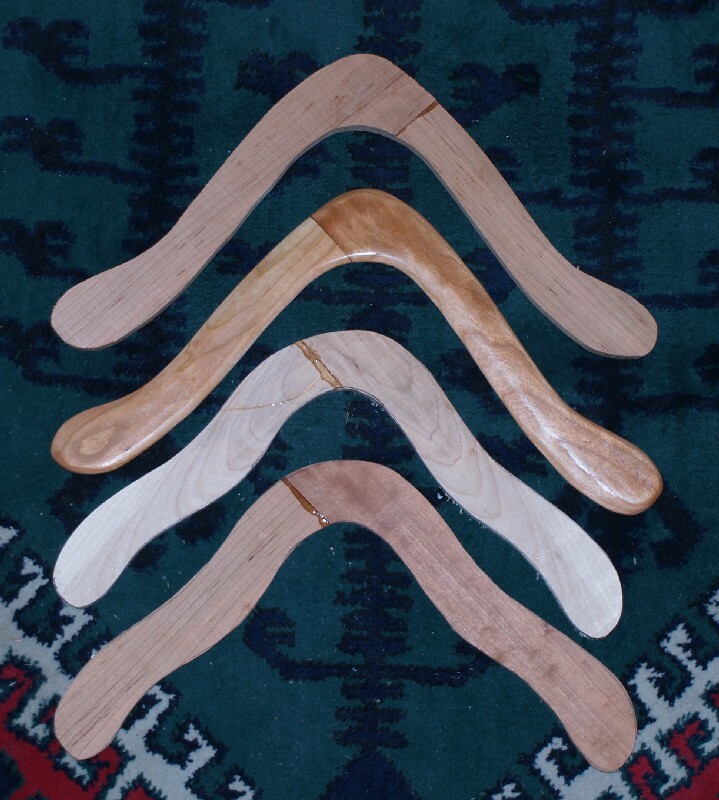 The Skippys were in cherry and maple. I spent a bit of time roughing out the airfoils on the belt sander then switched to a drum sander to smooth things out. I haven’t tested the boomerang yet but gave it a coat of clear to protect it. In the photo it is the second from the top. The rest are still rough cut blanks.